Welcome to M-Tech Laptops! Answering the question once and for all time, "who makes the best computer?" We believe there are consumers who recognize that you can't have the fastest laptop in the world if the laptop is so cheaply made that you have to replace it every 18 months. The major brands would have you believe that laptops have reached the disposable stage. This may be the case with their laptops, but if you want to buy the best laptop, one that exceeds all others in speed, and lasts for year after year, then you need to look no further. M-Tech is the best laptop made today. That's where M-Tech comes in. M-Tech Laptops are built to a higher standard of quality, not just in the laptop itself but all parts items are chosen because they were manufactured to a higher standard of quality than is typical of mass-marketed computers. For example, instead of using the cheapest Nvidia 1080 GPU we use the best version manufactured under license by a company that shares M-Tech high standard of quality because we know that it runs better and lasts longer than the same model of video card produced by some other manufacturer under license by Nvidia. The same holds true for CPU's, RAM and drives. M-Tech uses only the best of the best. Simply stated, they are built to run better. M-Tech is not built under the same factory address as all the other brands and they have actual quality control procedures instead of a pass/fail standard. 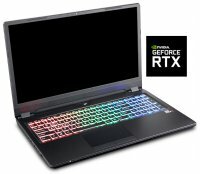 If an M-Tech Laptop or Desktop doesn't pass with the highest of standards then it is rejected and the parts that make up the computer are sent back. Think about that, out there somewhere is a laptop in someone's home that was not good enough to be sold as an M-Tech, somebody paid good money for a laptop built with parts we rejected. Take your time and review as many of the 'Useful Links' on the left side of the page as you can. Our site will teach you more about computing technology in a few minutes than most people learn in a lifetime of reading magazines. Don't know where to start? Try our Laptop Purchasing 101 link or just feel free to browse around!